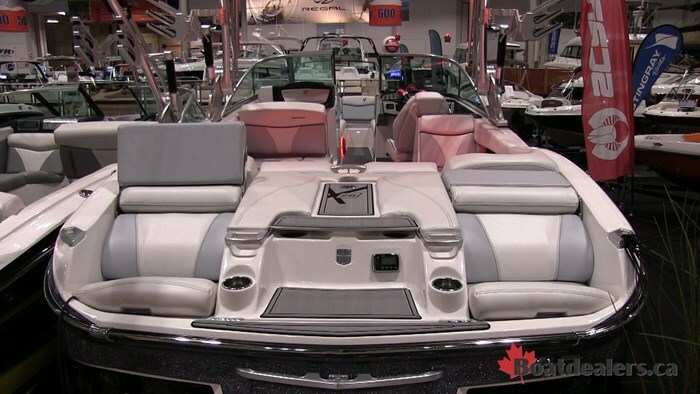 Standing next to the brand new X26 at the Mastercraft display at the Toronto International Boat Show it’s hard to take in the immense size of this boat. Looking into the cockpit from the swim platform you can tell this is a spacious, well appointed boat but its 26 foot length isn’t gaudy. 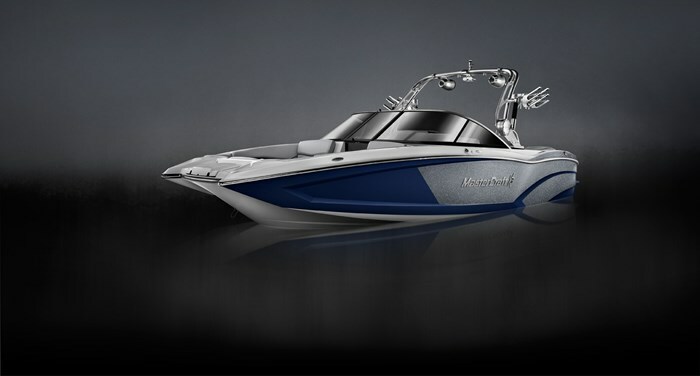 A new model for 2016 the X26 rounds out Mastercraft’s fleet of tow sports dedicated boats taking that top spot next to the flagship X-Star. When you first walk into the swim platform of the X26 you’re going to notice these nifty jump style seats moulded into the transom. Then with one quick pull the back rest pops up and locks into place. These seats are as comfortable as they look. There’s grab handles moulded into the deck, cup holders and a stereo control unit. You will have to check with your local authorities if these are legal to sit in while surfing. Anything faster I would stick to the spacious cockpit. 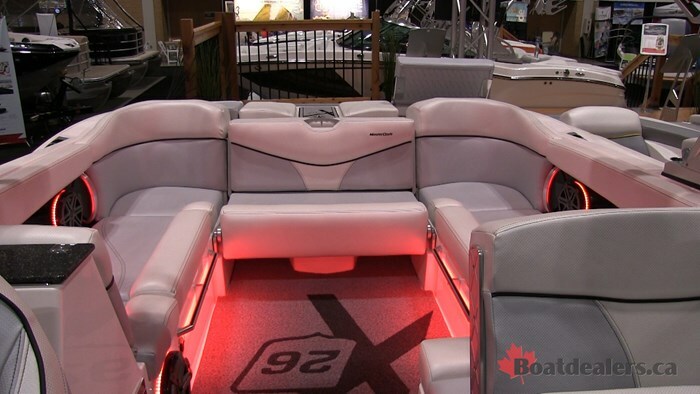 Since you will have a lot of people on board you will want to make sure you have the proper amenities for a long day on the water and that’s where this boat really shines. 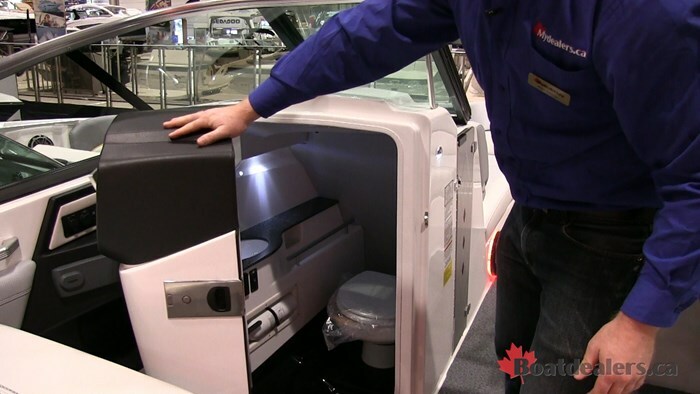 There is an optional head under the port side console that gives you plenty of room to answer nature’s call in privacy without feeling closed in. There is a sink behind the captain that flips up and hides away in a moment’s notice and right below that is a beverage cooler. 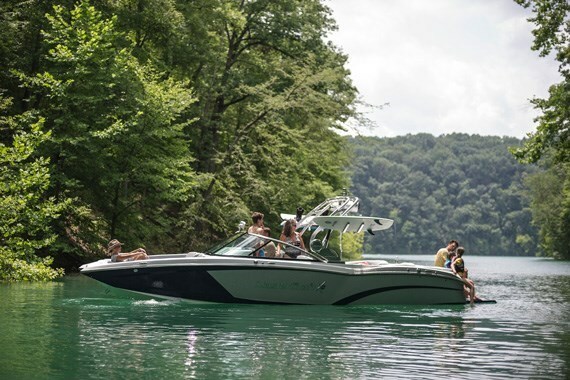 With the X26 you’re not heading back to the dock until you’re low on gas or the sun goes down - whichever comes first. 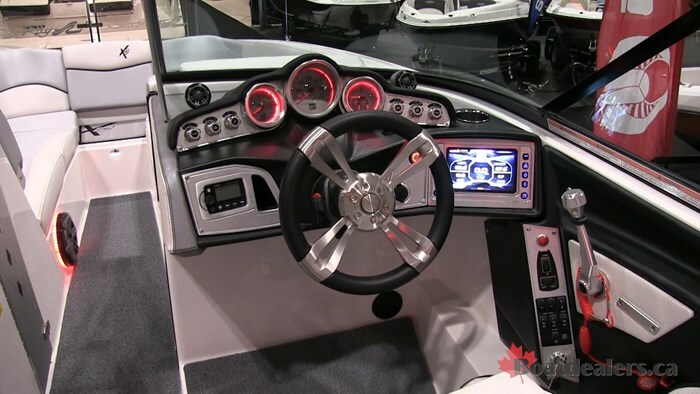 Of course this is a Mastercraft so you are getting all of those hallmarks with the X26 - the billeted aluminum features which are predominant at the helm. There’s textured vinyls, clean design lines and of course that famous pickle fork bow that gives you a massive lounge up front. Storage abound in this boat as well. Basically if you can sit on it, chances are you can put gear under it. Which is important remembering the capacity for the X26 is 18 people - that’s a lot of stuff to go along with them! I wish I could have got behind this boat to see what kind of surf wave it kicks up especially when I found out this had the Ilmor 7.4L V8 monster engine in it turning out 522 horsepower. Unfortunately I had to settle with admiring from the show floor. I recommend you set up a demo with your local dealer in the spring to get behind this beautiful 26 foot beast.